The word phlebotomy comes from the Greek phrase “φλεβοτομή” for “to cut a vein.” This field involves performing venipunctures and capillary sticks to draw blood from patients. Phlebotomists also work with urine specimens and other types of body fluids. This medical career requires either on-the-job training or completion of a vocational training program so phlebotomists understand proper venipuncture techniques, medical privacy laws, and proper specimen handling techniques. 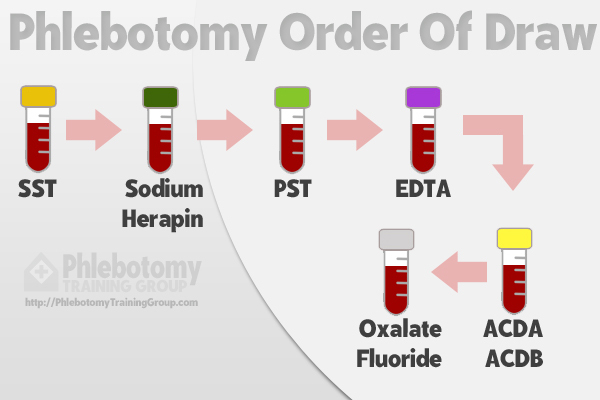 What is the Phlebotomy Order of Draw? Phlebotomists must draw blood specimens in the proper order because some blood collection tubes contain additives that make it easier to analyze blood samples. Order of draw helps phlebotomists avoid cross-contaminating these additives and compromising the results of blood tests. The first type of tube to use is the blood culture bottle or the tube with a yellow or yellow-black top. Next is the tube with the light blue top. This is known as a coagulation tube. The red-top tube, which is a non-additive tube, is the third tube used. Additive tubes should be drawn last. You may be wondering, what is phlebotomy order of draw for additive tubes? The proper order is SST, sodium heparin, PST, EDTA, ACDA or ACDB, and oxalate/fluoride. These tubes correspond to the following tube top colors: red-gray or gold, dark green, light green, lavender, pale yellow, and light gray. Phlebotomists must perform a variety of administrative duties before collecting a specimen from a patient. 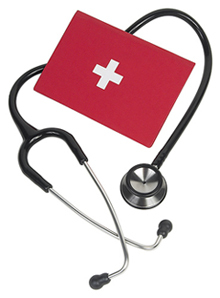 One of the most important is proper identification of the patient. Identifying each patient before performing specimen collection ensures that the right test is performed on the right patient. It also helps prevent patients and insurance companies from being billed for the wrong tests. In a hospital setting, a phlebotomist may check a patient’s bracelet before performing specimen collection. In an outpatient setting, the phlebotomist may ask a patient to confirm his or her identity by requesting information such as the person’s birth date or identification number. Phlebotomists must also review requisition slips and complete paperwork related to specimen collection and transport. What is Phlebotomy Specimen Handling and Transport? Phlebotomists must prepare specimens for transport to the laboratory. One of the most important tasks is labeling each specimen properly. The right label helps ensure that the test results are given to the right patient. Specimen labels should include the patient’s name and identification number. Phlebotomists should also mark specimen containers with their initials and the date and time of collection. Some healthcare facilities have barcodes to help prevent labeling errors, but a phlebotomist is still responsible for labeling each specimen properly. Although most laboratories perform many of the same tests, some send out blood samples for advanced testing. Phlebotomists play a role in transporting these specimens to other facilities for analysis. A phlebotomist may have to pack a specimen and label it for transport. Hospital phlebotomists must transport samples from patient rooms to the laboratory. Phlebotomists also play an important role in preventing the spread of infectious diseases. When drawing blood, a phlebotomist wears gloves and swabs the venipuncture site with an antiseptic wipe. This prevents cross-contamination and also protects patients and phlebotomists from catching diseases that are spread via bloodborne pathogens. This is especially important for preventing the spread of hepatitis and HIV. After drawing a blood sample, a phlebotomist disposes of the needle in a sharps container. Sharps containers help reduce the risk of needlesticks. Phlebotomists must be familiar with a variety of equipment and supplies. Evacuated collection tubes are one of the most common pieces of phlebotomy equipment. These are the tubes that collect blood once a phlebotomist inserts a needle into a patient’s vein. Phlebotomists also use several different types of needles. These needles come in different sizes, making it possible to select the right needle for each patient. For example, a phlebotomist might use a butterfly needle for young patients. Tourniquets make the veins swell, making it easier to find a vein and draw a blood sample. Phlebotomists also use alcohol wipes, iodine wipes, gloves, syringes, gauze, medical tape, and other supplies. Site selection is one of the most important tasks in performing a blood draw and as such, a core element of a phlebotomist’s training. 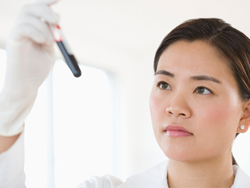 If a phlebotomist does not select the right site, it will be difficult to collect a suitable blood sample. Sites with burns or scars are generally not suitable for venipuncture, as these sites are difficult to puncture. Some surgical procedures increase the risk of lymphedema, which is a type of swelling of the limbs. If a patient has a swollen left arm, the phlebotomist should look for a venipuncture site on the right arm. Phlebotomists must also know how to collect specimens from patients who have intravenous lines. The fluid or medication from an IV can dilute the blood, so it is important to collect blood samples from the arm that does not have the IV line. Bruising can also affect the quality of a blood sample. 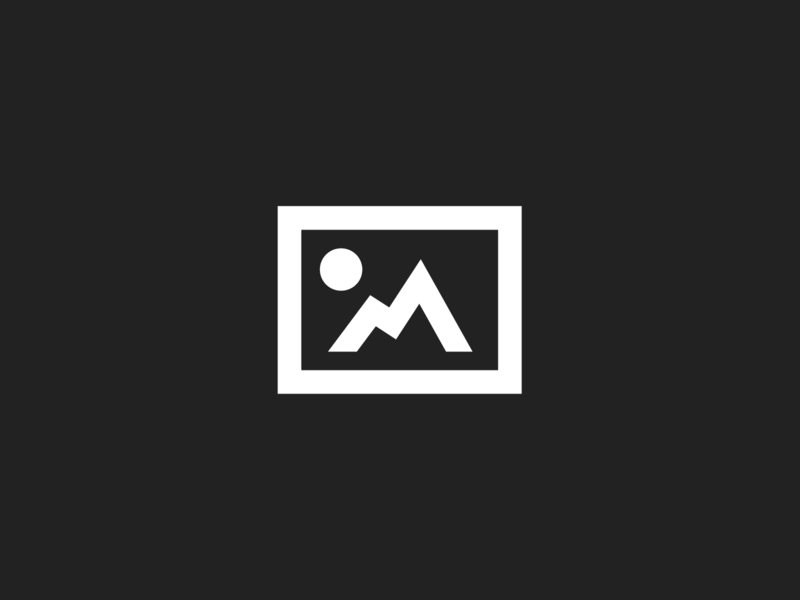 What is the Venipuncture Phlebotomy Procedure? Phlebotomists must use the proper technique when collecting blood samples. They must greet and identify patients before selecting a suitable venipuncture site. Once a site has been selected, the phlebotomist positions the patient in a way that makes the site as accessible as possible. After wiping the site with an antiseptic wipe, the phlebotomist pierces the vein with a needle and collects the appropriate amount of blood. After removing the needle, a phlebotomist uses gauze to stop any bleeding. The final steps in this process include disposing of needles and supplies, applying gauze or a bandage to the patient’s arm, and completing any necessary paperwork. hello I was needing to know what test requires special transport and how it is transported please. Every single tube must be handled with caution during both labeling and transport. As mentioned in the article, labeling a specimen properly ensures that the test results are given to the right patient. A lot of things can go wrong if there is a mix-up and the patient is given someone else’s results. Including legal actions against you and the organization you work for. Properly collecting and transporting the specimens to the laboratory, directly correlate to safety regulations / infection control. Those are in place for both YOURS and the patient’s safety; public health as well. As to special transport procedures, if any, you will be directed to those by your supervisor. That would depend if you are delivering directly to the laboratory or calling in for transport. If there is anything more we can do for you, feel free to ask. Can you give me a tip to I need to tip to memorize the order of draw and the tubes destination? God bless you,great job thankyou for showeectome the correct order of draw.